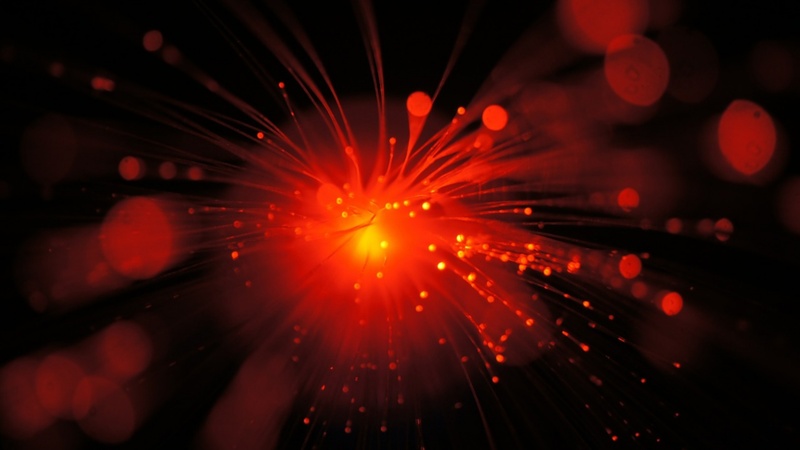 Fibre and fibre-based internet is the preferred way of connecting to the internet in 2019 and the foreseeable future. That’s because it’s the most reliable, low-latency, bang-for-buck connection money can buy, and those things have fantastic benefits for business. Like the ability to remotely access computer systems quickly and efficiently. Applications like TeamViewer and Microsoft’s own Remote Desktop Connection let a technician sitting in Joburg control a PC connected to the internet in Cape Town; the faster the internet connection between the two, the better that control is. On a slow connection, that technician might have to wait seconds before a click on his side registers on the remote computer. He’d also move his mouse on his side and only seconds later see the remote cursor move. This isn’t an unworkable situation, but it certainly is frustrating and inefficient, causing support calls to take a lot longer than they should, and resulting in costly downtime. A fast fibre connection with plenty of bandwidth for data transfers and a low latency means that same technician could control the remote PC and get responses as if he was sitting in front of it – a far better outcome for everyone – particularly the business. Moving files around the business is also better with a fast connection, and this is where fibre really comes into its own. With an uncapped 100mbps connection that’s as fast downloading as it is uploading (a symmetric connection, in other words), you could copy a large multi-gigabyte file to a client or a remote branch in mere minutes. That 100mbps connection gives you a real transfer rate of 12.5 megabytes per second, which means a gigabyte of data can be uploaded to a remote location in a mere 81.9 seconds. Even ramping that up, the numbers remain impressive: a ten gigabyte file, an uncommonly large transfer, will take a ridiculously-fast 13.6 minutes to transfer. Imagine all the time, money, and effort saved getting files to clients with this type of connection. Until fibre came along, the notion of backing up to the cloud was something only the biggest enterprises with the fastest internet connections could even consider due to the data volumes and connection speeds required. Now, with fast and affordable fibre connections, businesses of any size can reasonably consider using cloud backup services and kicking their local backup hardware to the curb. Not only are fast connections affordable and cloud backup services numerous, secure, and affordable, but backing up to the cloud means no more buying expensive servers or hard drives and hosting and securing them on-site for backup purposes. That not only reduces capital outlay significantly, but it also helps to lower operational expenses. Fibre for the win! Similarly, a fast internet connection supports the idea of ditching client-server software that’s run on your local hardware and moving to cloud-based solutions that do the same thing, just through a browser. There are plenty of cloud-based HR and accounting services that are happy to do what local software once did, for a monthly fee. And as they are accessed through a web browser, there’s no need for any software to be installed on your business PCs, or a server component to install and run on physical tin, or up-front software costs. With so many benefits, there are plenty of reasons to look into adopting fibre within your organisation. It’s cheap, it’s really fast, and it’s spreading to ever-more areas with every passing week. Don’t underestimate just how useful reliable, speedy internet connectivity is. It’ll reduce your expenses, deliver a great user experience for your staff (and potentially customers as well depending on the type of business you run), and open you up to all kinds of new possibilities and business opportunities.